Coenzyme Q10 (CoQ-10) is a Pseudovitamin compound that is a vital component of cellular energy metabolism; placed within the electron transport chain of the mitochondria to facilitate ATP production (ATP being cellular energy currency, and the ultimate product of fatty acids and glucose being 'used' for energy). 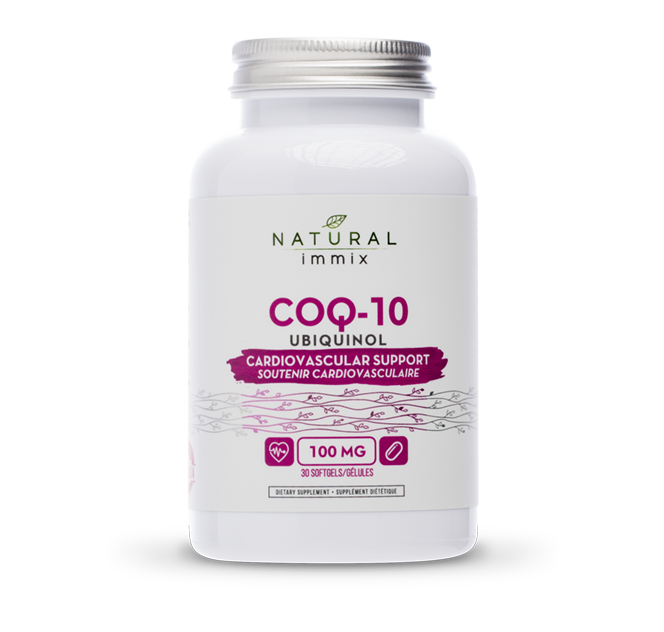 CoQ-10 is named after its seemingly ubiquitous nature in the body, and differentially named after its reduced form (Ubiquinol) and its oxidized form (Ubiquinone) which are interchangeable in the body depending on the cell's oxidative state. Coenzyme Q-10 is a molecule produced in the body and was first identified in 1957, and the "Q-10" refers to the chemical make-up of the substance. CoQ-10 occurs only in small amounts in meats and seafood and so, is often obtained in the diet through the use of supplements. Several diseases are associated with low CoQ-10 levels, including fibromyalgia and the aftermath of a heart attack, known as post-myocardial infarction. Depression, Prader-Willi syndrome, male infertility, Peyronie's disease, migraines, and Parkinson's also cause a CoQ-10 deficiency. Supplementation of CoQ-10 is recommended to anyone with the listed diseases, but particularly for heart attack victims and people suffering from fibromyalgia. Kaneka QH® is the world's purest, most thoroughly researched CoQ-10 ingredient available today. Fermented from yeast, Kaneka QH® is bio-identical to the CoQ-10 produced within the body. Kaneka believes that starting with quality ingredients is the only way to ensure a pure, high quality product. Kaneka QH® is fermented from pure, natural yeast. The yeast-fermentation method, along with Kaneka's rigorous manufacturing standards, makes Kaneka QH® the purest commercial-grade CoQ-10 available on the market today. Heart Health: used extensively in Europe and Russia and Japan, many people use Coenzyme Q-10 for treating heart and blood vessel conditions such as congestive heart failure, chest pain (angina), high blood pressure and heart problems linked to certain cancer drugs. Energy & General Health: Coenzyme Q-10 also plays a role in helping to increase energy through assisting with the production of ATP, a molecule in body cells that functions like a rechargeable battery. Coenzyme Q-10 been used for treating inherited or acquired disorders that limit energy production in the cells of the body (mitochondrial disorders), and for improving exercise performance. Immune System Health: Coenzyme Q-10 has been used for strengthening the immune systems of people with HIV/AIDS, for improving male infertility, migraine headaches, and for counteracting muscle pain sometimes caused by a group of cholesterol-lowering medications called "statins." It has also been used to boost immunity in those with diabetes, gum disease (both taken orally and applied directly to the gums), breast cancer, Huntington's disease, Parkinson's disease, muscular dystrophy, chronic fatigue syndrome (CFS) and Lyme disease.